Looking for a great area to raise a family? This home is close to good schools, Crescent Park Elementary & Elgin Park Secondary. 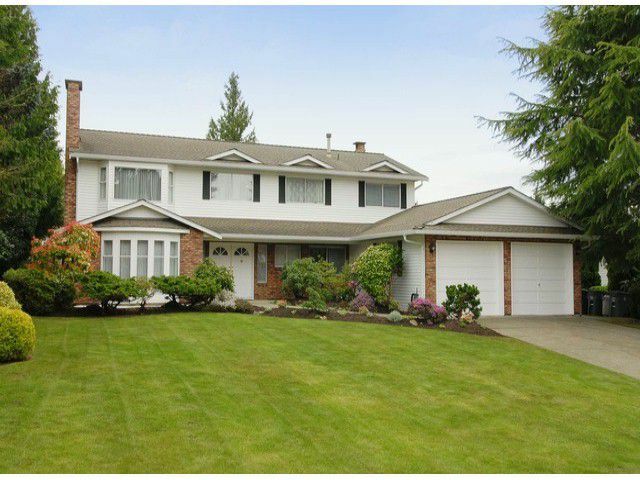 The lot is 1/3 acre south-exposed & fenced, professionally landscaped & maintained. Updates incl new boiler in 2011, new roof 2008. The home has 2 x 6 construction and radiant hot-water heating. The floor plan has an open living/dining room with a rock-faced F/Pl, extensive crown moulding, and is an elegant home for entertaining. There is newer engineered flooring on main floor. The master bedroom is huge with walk-in and sitting area; the other bedrooms are a good size, ideal for family living. The home is in good condition, well maintained. Bring your decorating ideas to create a showplace here. The home is bright, with 2 sets of sliders to back yard patios. There is an extra deep bay on one side of the garage, and garden shed built into side of house. This home is waiting for its new family! A bit of decor updating will turn this house into your dream home!